I love Spanish food. It’s so fresh, with plentiful use of fish and produce (so, super good for you) and beautiful to look at. 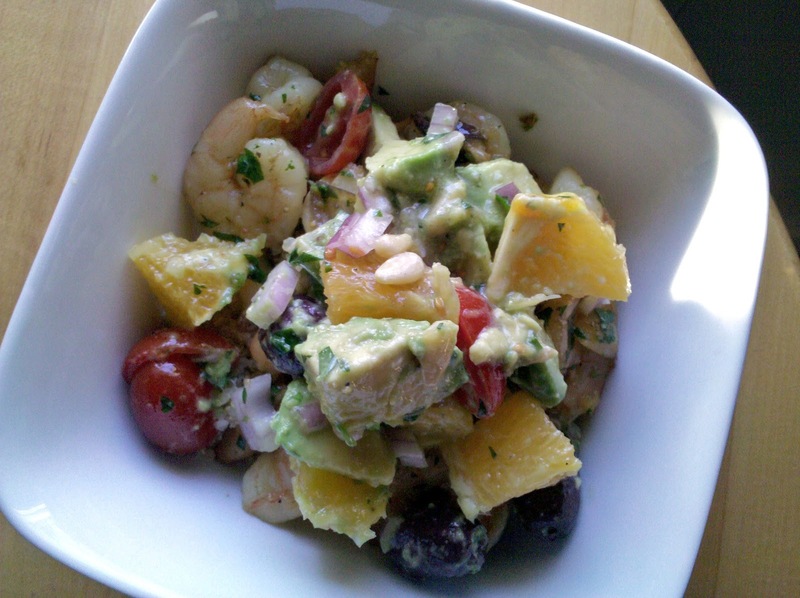 One of my favorite Spanish dishes is an orange, avocado, almond and red onion salad. I serve it a lot in the summer and it’s the perfect dish if you’re entertaining since it is so beautiful and vibrant (not to mention delightfully refreshing and satisfying on a hot summer day). This dish was the inspiration for my shrimp, avocado and orange salad. The original recipe calls for just a few simple ingredients (avocado, oranges, red onions, black olives, toasted slivered almonds and a simple lemon vinaigrette). 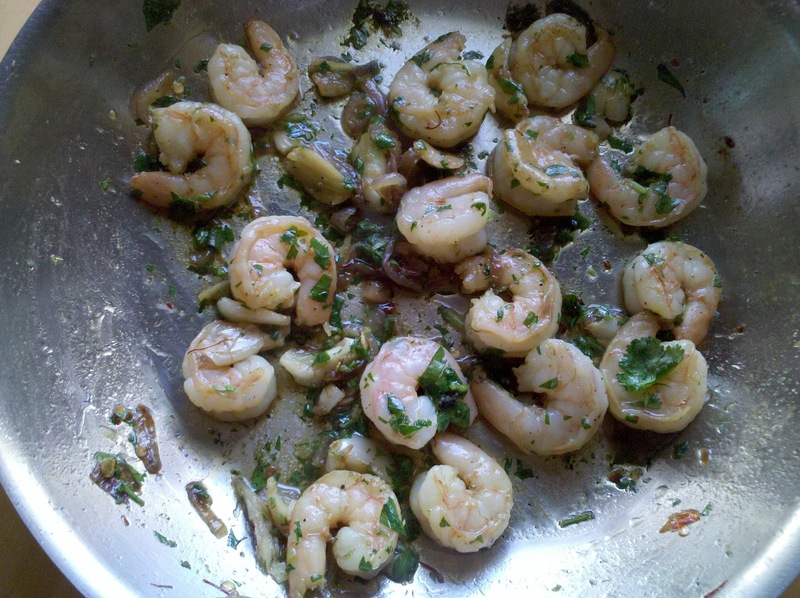 In my quest to make it main-dish worthy I started with all of the ingredients (except the almonds, which were replaced with toasted pine nuts) and added shrimp, tomatoes, arugula and a few spices and herbs. It’s perfect for a light main dish for dinner, just add some fresh grilled veggies as a side.